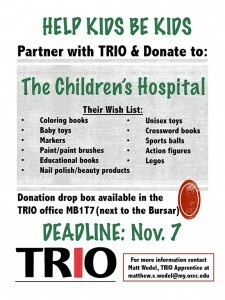 TRIO Student Support Services is collecting donations for The Children’s Hospital in Oklahoma City. TRIO is a federally funded program designed to increase college retention and successfully assist students transfer to a four-year institution, Peterson said. The name TRIO refers to the original number of program initiatives it has encompassed which has since grown from three to eight. 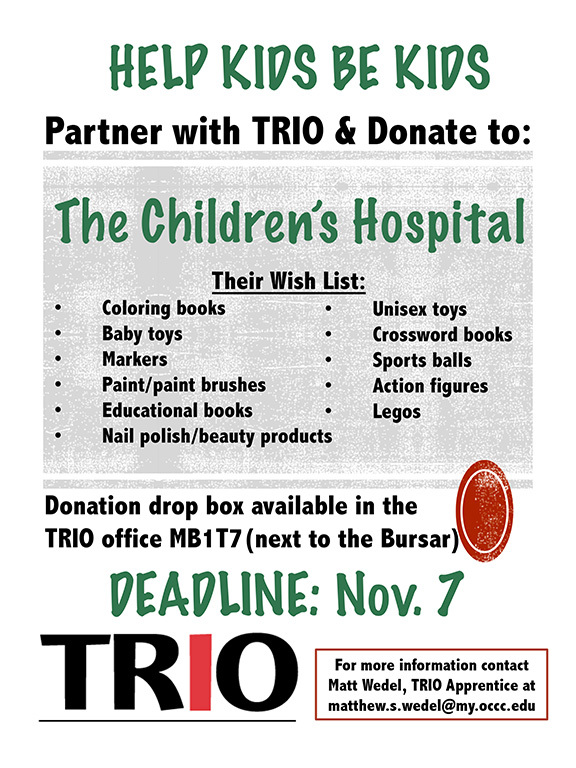 For more information on other items accepted for donation contact Wedel at matthew.s.wedel@my.occc.edu.